Where do we start? The famously lovely locals? The amazing museums and galleries? The legendary night life? We’re a little bit in love with Newcastle, and you will be too after 48 hours exploring this northern gem! The real question is, what to do first? Well, get your bags dropped off at Roomzzz Newcastle City and then take some inspiration from our handy guide of all the must-visit Geordie hotspots. It’s a crime to visit Newcastle without checking out one of the city’s major landmarks, Grey’s Monument, especially when it’s just a nine minute walk from your aparthotel! This colossal, 134 foot stone column was built between 1837 and 1838, in honour of Charles Grey, who was Prime Minister during the 1830s and came from the North East. During the spring and summer months hop on a walking tour to climb to the top of the monument for amazing views over Newcastle. 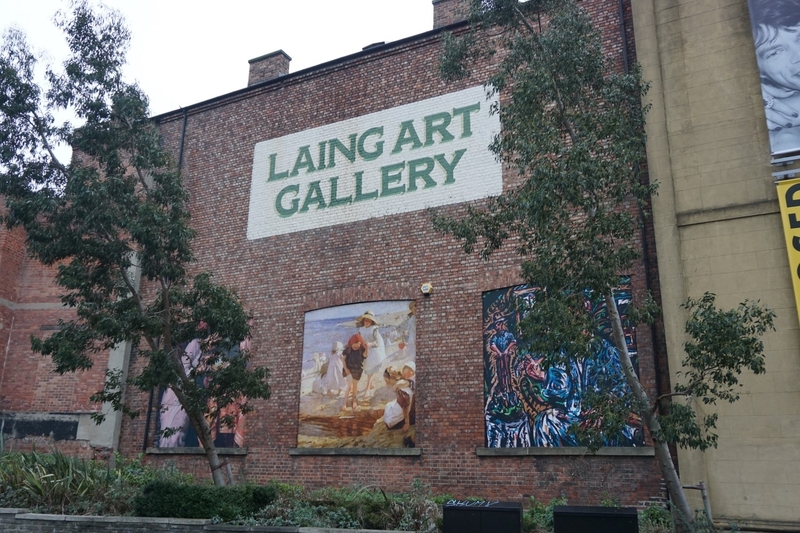 Get yourself to the Laing Art Gallery to gawk at an internationally renowned collection of oil paintings, ceramics, watercolours and more, by the likes of Paul Gauguin and John Martin. Don’t miss the gallery’s star piece, Isabella and the Pot of Basil, a striking oil painting by William Holman Hunt, inspired by a Keats poem. Oh, and the epic teapot collection (with some tea cups and saucers thrown in for good measure), displayed in a wall leading to the cafe. What we love about the Laing is that it’s not just all about the art works, the building itself is pretty fancy too. Keep your eyes peeled for marble floors, Arts and Crafts stained glass windows and the canvases in the arches above the doorways of the upper galleries. Painted during the 1930s, the canvases depict historic scenes set around the local area. 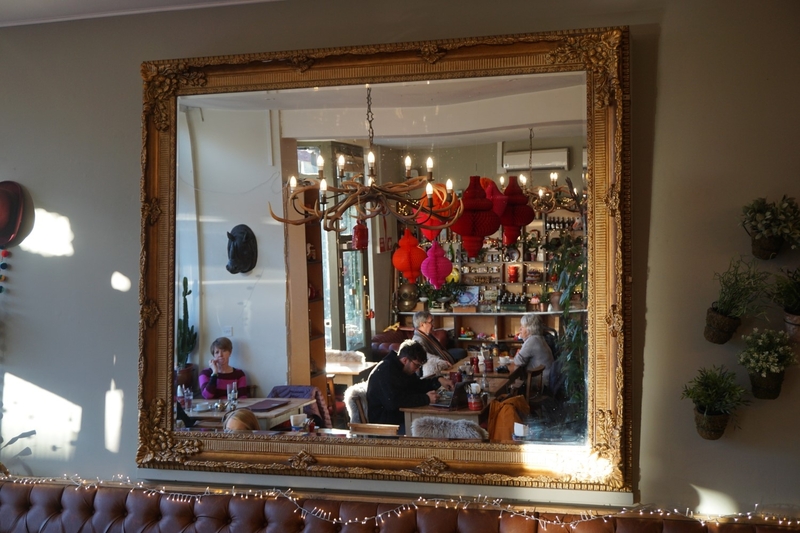 It’s time to discover what the stunning suburb of Jesmond has to offer. Jump on the Metro and head to West Jesmond to fuel up with some superb scran (that’s Geordie for food) at Arlo bistro and cafe. The faux taxidermy, ceramic cow’s head, which is starring at you as you step over the threshold, kind of sets the tone here. Arlo have got quirky decor down to a tee with gold, wall mounted candle sconces sprawling across one wall (major Beauty and the Beast vibes), strings of pom pom garlands all about, and fake antler chandeliers hanging from the ceiling. And it isn’t just their on point interior that’s the talk of the town, Arlo serve up some truly delicious food. Choose from light bites like tempura tiger prawns, salads (they’re nothing like your usual sad salad), sharing plates and mains – the menu is really varied. We’d recommend tucking into the trendy pulled jackfruit burger. The spicy, smoky pulled jackfruit is packed into a soft bread bun with the thickest wodge of halloumi we’ve ever eaten and a dollop of corn guacamole. 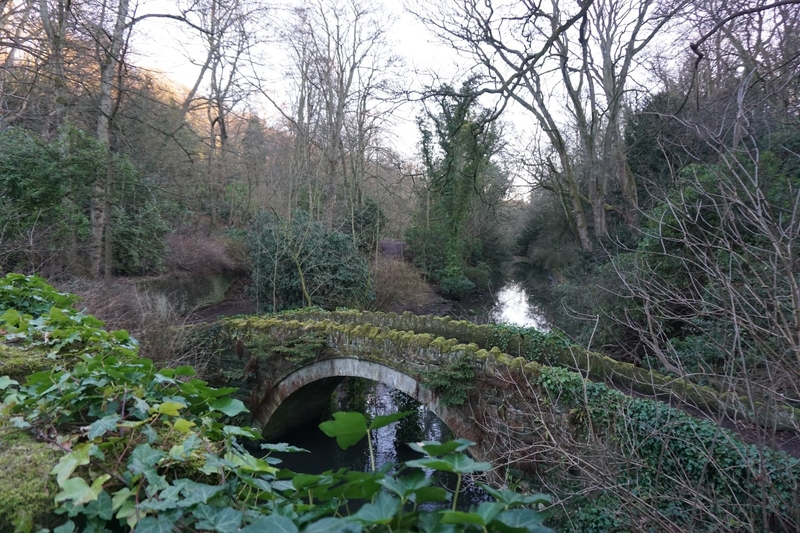 Hop back on the Metro to Ilford Road and get ready for a scenic walk around the beautiful Jesmond Dene, a massive wooded valley with a river at the bottom. You wouldn’t even know that you were in the centre of Newcastle as you follow paths that zig zag up and down the valley sides and criss-cross over the River Ouseburn. Meander your way through the woodland, over pretty stone bridges covered in ivy, past a thundering waterfall and explore a ruined, historic mill. Look up above your head as you go and check out just how tall those towering trees are (seriously, they’re huge!). You might even be lucky enough to spot a red squirrel up there or a kingfisher flying low over the water so keep the camera handy. You could easily while away the whole afternoon here. It’s been a full on day so head back to the aparthotel on the Metro. Get checked in, kettle on and feet up (yes, on the table, it’s your apartment!). 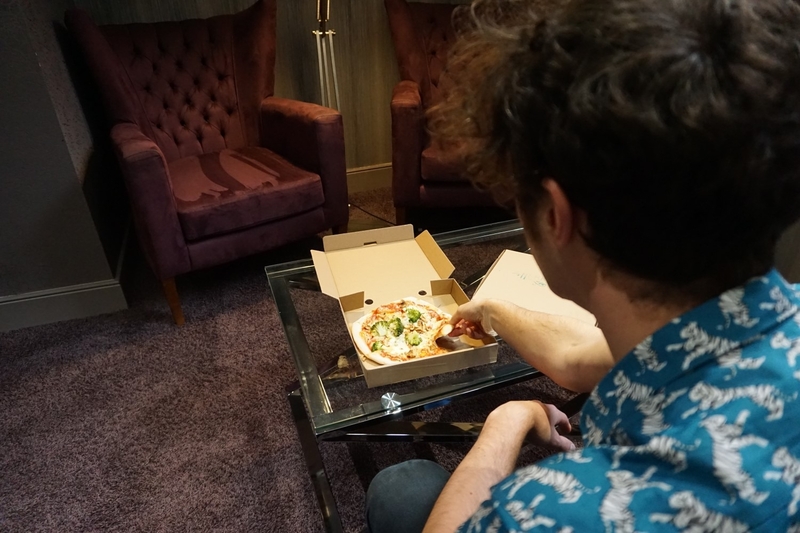 Now you’re faced with a tough decision – to get your chef’s hat on in your fully-equipped kitchen or to hop on the free Wi-Fi and lazily scroll Deliveroo. If you’re taking the lazy option (which you totally should) try Fat Hippo for insanely good burgers or Pizza Punks. The posh plates are just in the cupboard there. Bon appétit! Get glammed up after dinner for a gin and tonic at Dacantus on Grey Street. The luxe interior will have you at hello and the exceptional gin will be seal the deal with one sip from your fish bowl shaped glass. 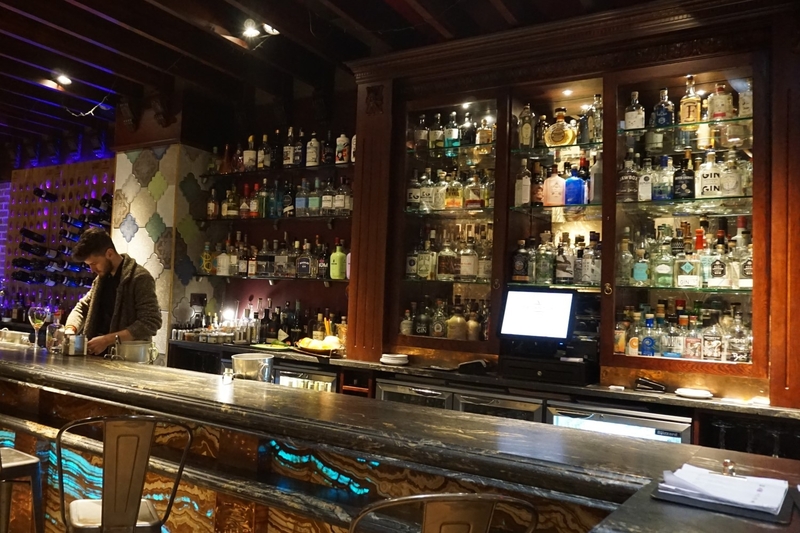 The bar looks like it’s been cut from a slab of semi-precious stone, one wall is panelled in intricately carved dark wood and the other covered with a gun metal coloured wall paper, embossed with a feather design. This place is swanky and oh so popular with the locals. There’s no time to waste with so much more to see! Pick up complimentary fruit, pastries, yogurt and coffee on your way out, and eat on the go. Next stop is Tynemouth, our favourite North Eastern seaside village. Travel out on the Metro or go by car and take the coastal road. Tynemouth Market: Easily the best market in the north of England. Every weekend, Tynemouth’s restored Victorian station plays host to stall upon stall of antique collectables and furniture, independent makers, artisan bakers, vintage hoarders and farmers selling local produce. There’s no way you’re leaving here empty handed – the place is packed with cool and curious finds. Green Ginger Arcade: An independent shopping arcade inside a converted 200 year old church. You can’t get cuter than this, right? It’s totally Insta-worthy too. Inside you’ll find a gin bar (that goes without saying), an old fashioned sweet shop, a vintage style cafe, gift shops, a hairdressers and more. 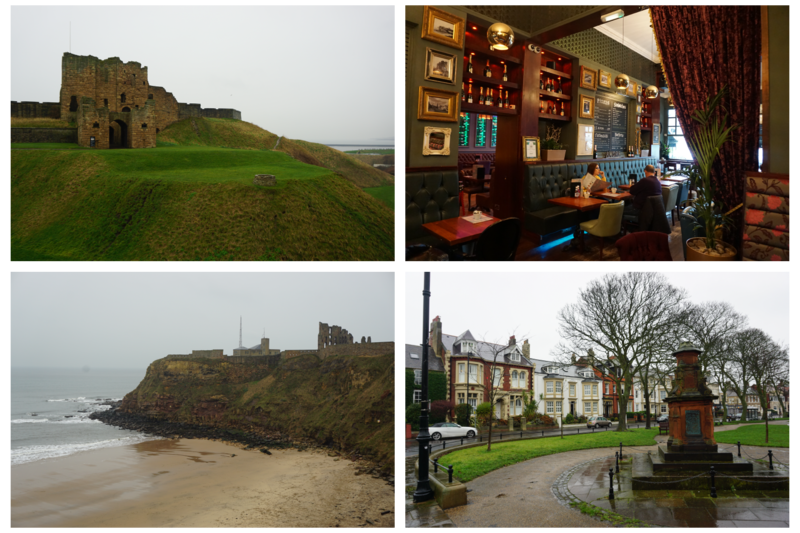 Tynemouth Castle and Priory: Take in a bit of history and a whole lot of beauty! Wander the impressive ruins of the ancient priory and take a peek inside a restored 13th century chapel, complete with stained glass windows and painted, vaulted ceiling. There are also the remains of the castle and a restored gun battery to be discovered up on the headland. King Edward’s Bay: Bound down the steps to Kind Edward’s Bay for beach walks, golden sands, wave watching and romantic views. A cheeky trip to Riley’s Fish Shack might also be in order…we know what you’re thinking but don’t judge a book by its cover, this place has been reviewed by The Guardian and has rave reviews on Trip Advisor. Allard’s Lounge: Our top spot for lunch on the high street. Think glamorous decor, mouth-watering menu, a relaxed atmosphere and a pop-tastic playlist. Insider tip: it’s all about that cod dog sandwich, a fluffy brioche bun stuffed with a huge piece of freshly battered cod, oozing with mushy peas and tartar sauce. Go on, you deserve a treat! 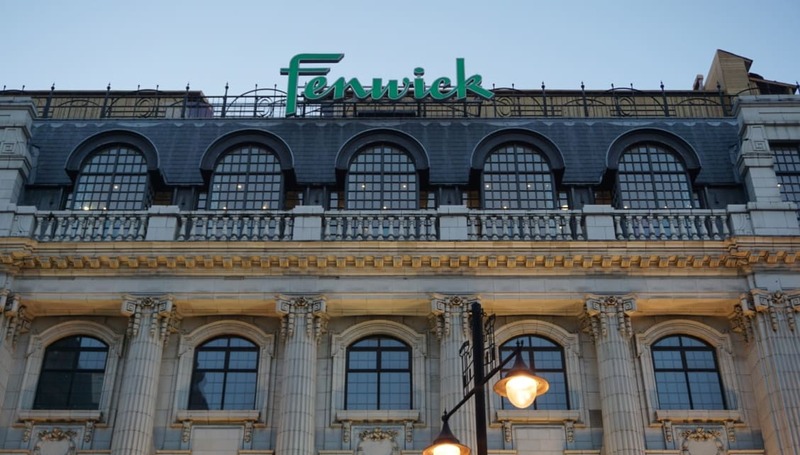 No trip to Newcastle is complete without a browse around the original Fenwick department store. Shop until you drop with five floors of clothing, beauty, homeware and food. There are luxury brands like Kenzo, Maxmara and Burberry, personal shopping and interior design services and a few beauty rooms for the ultimate shopping experience. If you’re in the toon around Christmas, look out for the iconic Fenwick’s Christmas window display. It’s so popular that people queue up to get a look! 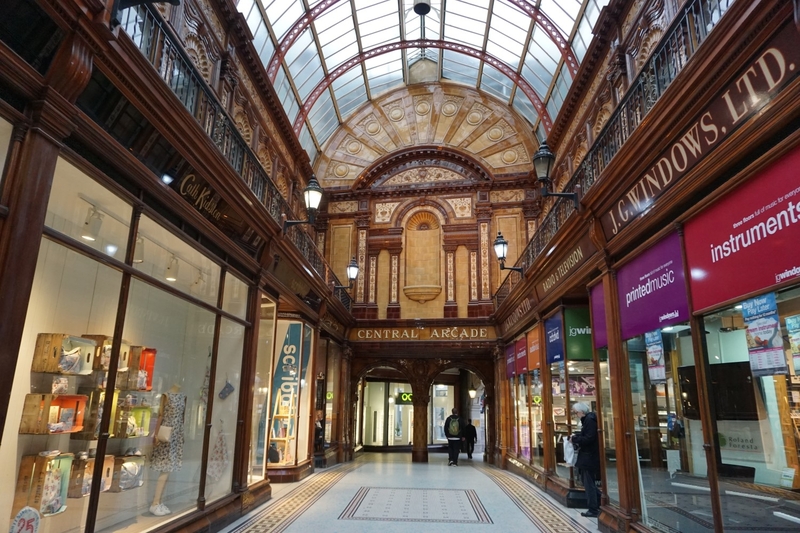 We’d also recommend checking out the characterful Central Arcade with its earthy toned tiles and high, arched glass roof. Quick, time for a cheeky outfit shot while no one’s looking! Inside you’ll find Naked Deli, JG Window’s music shop (which has been in business since 1908), Space NK, Pretty Green and a few others. 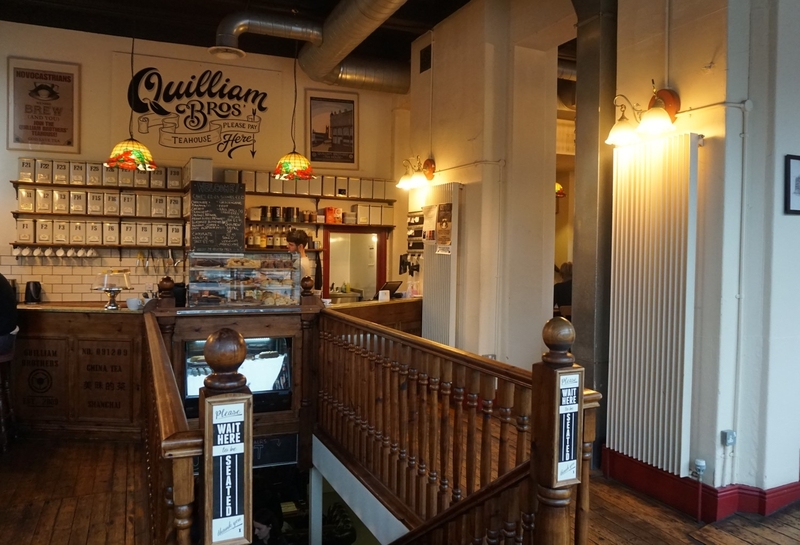 Tea lovers rejoice – Quilliam Brothers has got you covered with copious amounts of their finest loose-leaf tea! This quirky spot near the university is the local hipster hang-out so there’s plenty of people watching to be had. Once you’re settled down underneath a teaspoon chandelier (yes you read that right), it’s time to peruse the tea glossary at the back of the menu to swot up on what you’re about to sip. Will it be a Ceylon from Turkey, a white oolong tea or a flavoured rooibos tea? Grand-pa’s winter gulp, fruit and rum flavoured tea anyone? The Bridge Tavern sits right beneath the colossal Tyne Bridge – another Newcastle landmark. This popular pub serves up ales created in their on-site microbrewery, alongside all the usual wines and spirits, but it’s their cut-above pub grub that’s really getting us in a spin. The focus is high quality, locally sourced and seasonal ingredients, and it’s a winning combination! 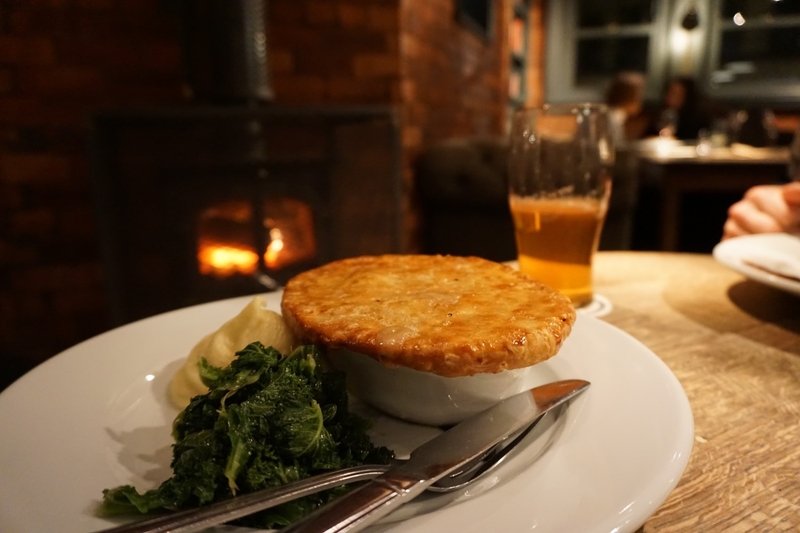 We sampled a mind blowing chicken, ham and leek pie with a thick and flaky pastry crust, served with a huge dollop of creamy mash and salted curly kale. We’re branding it pub grub grown up. It’s not only the food that’s getting points for sophistication, the interior pips the usual pub standard too. The Bridge Tavern is bang on trend with exposed brick walls, herringbone wooden flooring, dark grey wood work and industrial style lighting. In winter expect the log burner to be lit and in summer take yourself up to the roof terrace. Switch Netflix for a night at the theatre. 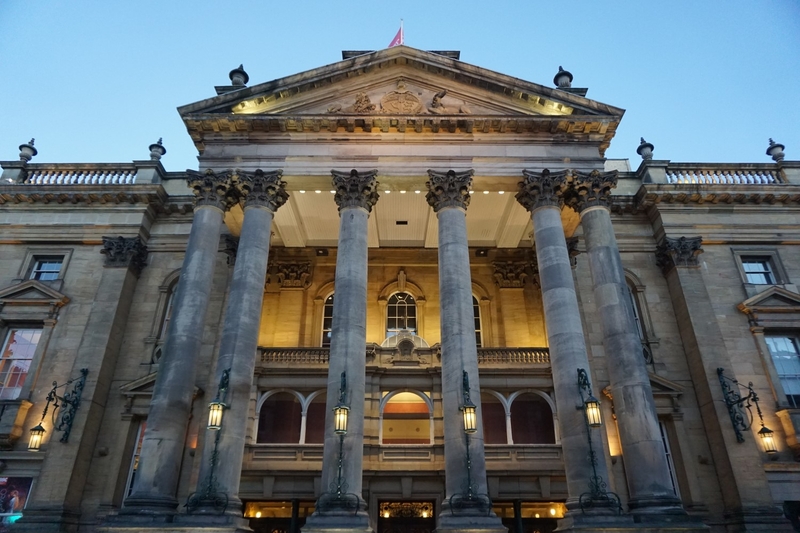 The Theatre Royal is well known for putting on an amazing show. Catch a West End musical, an opera, a touring band or one of the country’s most talented comedians, and say yes to interval ice-creams (because why the hell not?)! Check out what’s on, here. The theatre building is crazy ornate, it’s Grade I listed and has earned the title of ‘finest theatre façade’ in the UK amongst architecture aficionados. Be sure to get an eyeful of the majestic neo-classical exterior on your way to the show. The immense columns and temple inspired entrance are tell-tale characteristics of the style. Definitely one for the must-see list, even if theatre’s not your thing. Thinking of taking a shorter staycation? Have a peek at our 24 hour guide to Newcastle. We’re currently extending our Newcastle City Aparthotel, later this year we’ll have 74 extra apartments, a cosy, communal lounge and coffee zone.